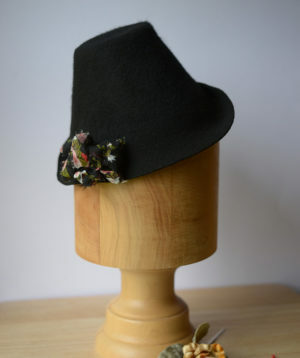 A late 1940’s early 1950’s style of wide brimmed hat. 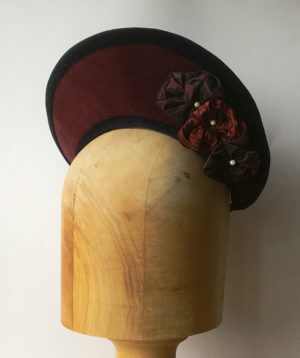 This hat is made with a separate crown and block then joined together. 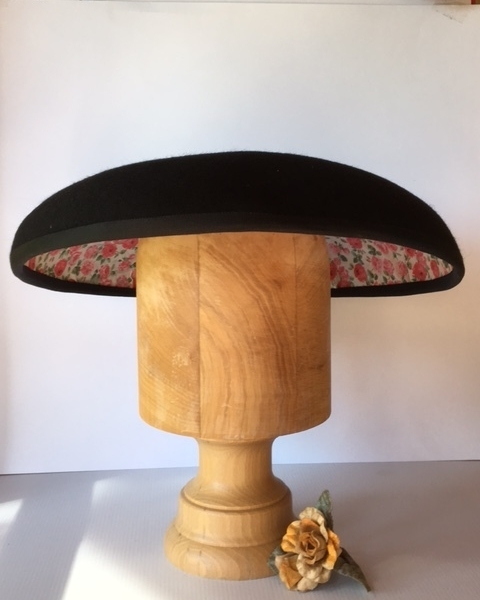 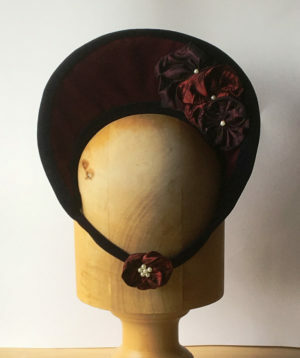 The black felt has been heavily stiffened with buckram and then lined with a pink rose cotton fabric, carried on around the crown, rolled and secured. 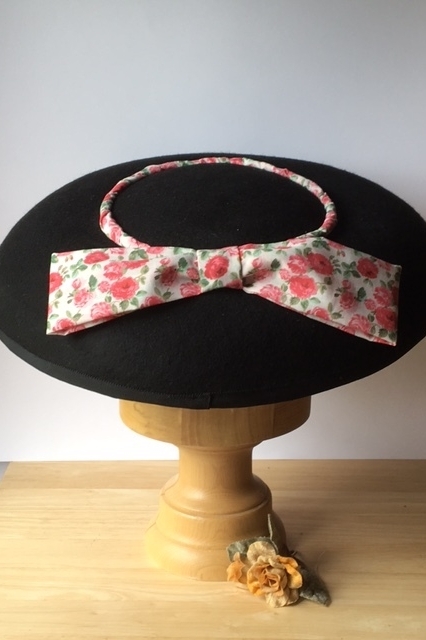 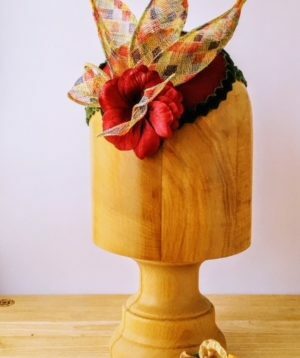 A matching bow is to the rear of the hat. 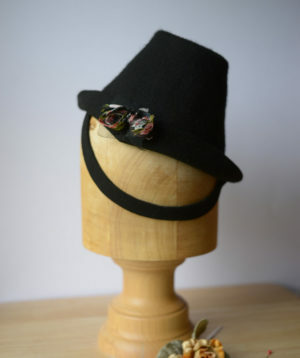 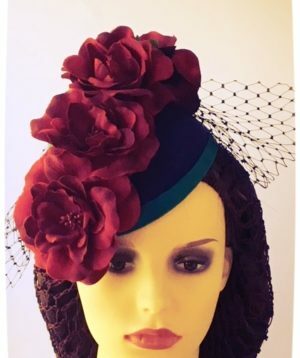 The felt brim has been twice steamed and ironed, wired for rigidity and finished with a black petersham ribbon. 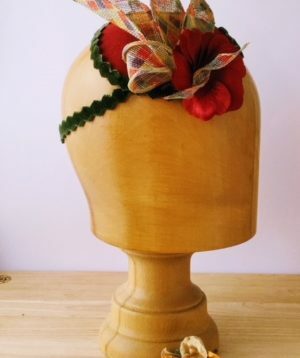 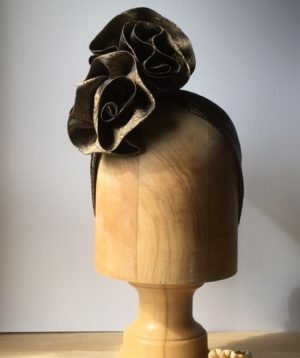 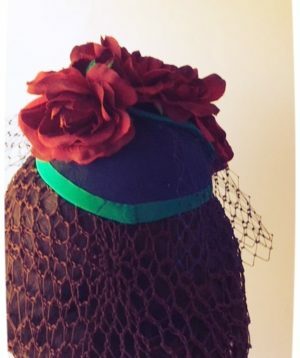 The crown underneath has a petersham pleated head band. 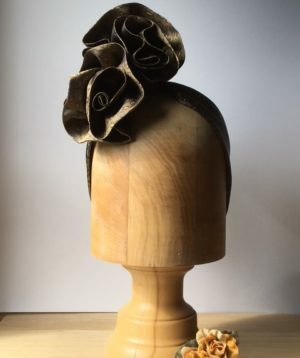 Security is via a black ric rac ribbon which can be tied at nape of neck and plastic comb.